The sea figures prominently in Manhattan Beach: its darkness, its depth, its dazzling endless potential. The boldest among us cast aside fear and set a course towards its horizon, the siren call of a life larger than that possible within a (seemingly) safe harbor. 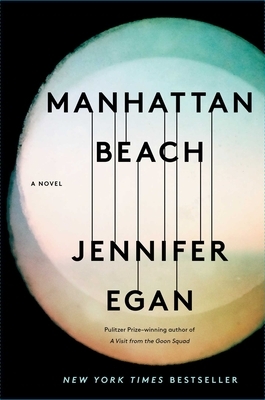 This being a Jennifer Egan novel, the plot is a stiff wind at our backs as the waves rush under the prow of our boat, carrying us along with Ed Kerrigan as he courts disaster trying to provide for his family after the stock market crash, his daughter Anna as she defies expectations to become the first female diver at the Brooklyn Naval Yard during World War Two, and Dexter Styles, the ultimate 1940’s nightclub owner and gangster. It is all just as exhilarating an adventure as you would expect. I loved it. Love the flow, the imagery, and the historical details Jennifer Egan incorporated into the different characters' story lines. It’s set in depression era New York City and goes through WWII. Starting off with Eddie Kerrigan and his struggles to provide for his family, leads into other stories and eventually centers on his daughter Anna Kerrigan who works in the Brooklyn Naval Yard and has dreams of becoming a diver who would repair ships going into war, not your typical “women’s work.” There is also Dexter Styles who is a mobster and struggles with how his life has turned out. I read A Visit From the Goon Squad, but this is my favorite Jennifer Egan book so far.